The flavor combo for these little appetizers was inspired by these delicious cheese spreads I found at the grocery store from Alouette. The nutrition facts of the cheese are amazing and they taste great! One wedge is 40 calories, 1g carb, 3g fat and 2g protein. 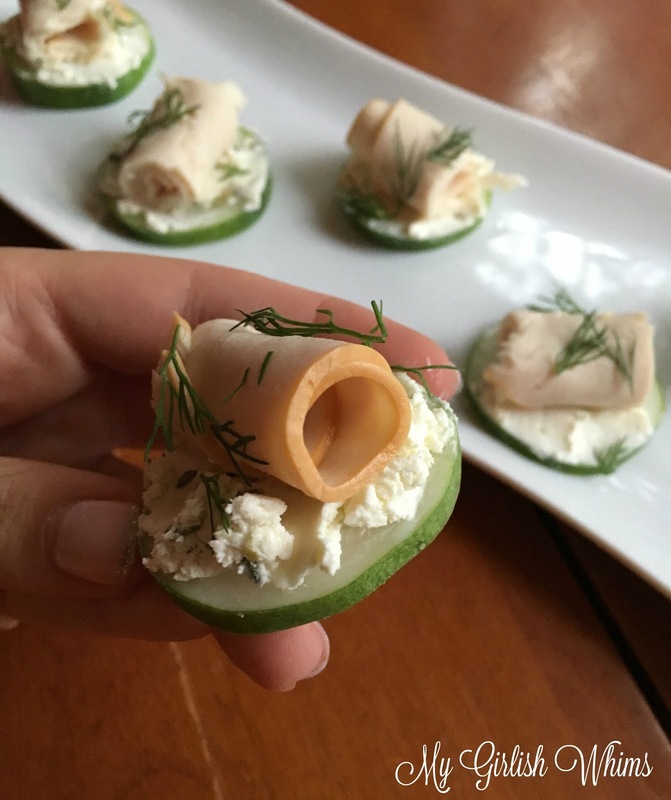 Paired with a crisp cucumber slice, rolled up turkey lunch meat and a sprinkle of fresh dill these little bites pack a punch of protein and a ton of flavor! Plus, five of these bites add up to only 75 calories so you can keep snacking without worrying about ruining your diet! Five little cucumber slices add up to 75 calories, 3g carbs, 3g fat and 8g protein. 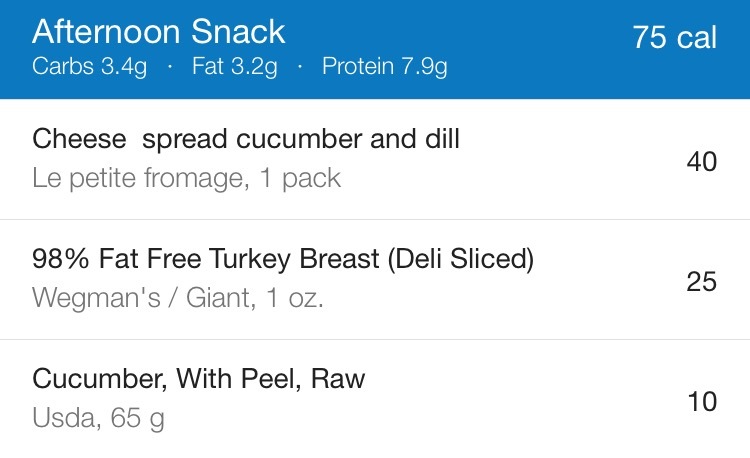 Those are some awesome macros for a healthy snack! wow, this dish looks delicious, i also want to try for my family to eat, thank you for sharing.